There’s probably no other nation that loves soup as much as Russia. There are many delicious types for all seasons. Have a go at cooking these up. This is one of the best Russian soups. The word rassolnik comes from rassol, or pickle juice - the salty, sour, and watery solution that remains after making pickled vegetables. 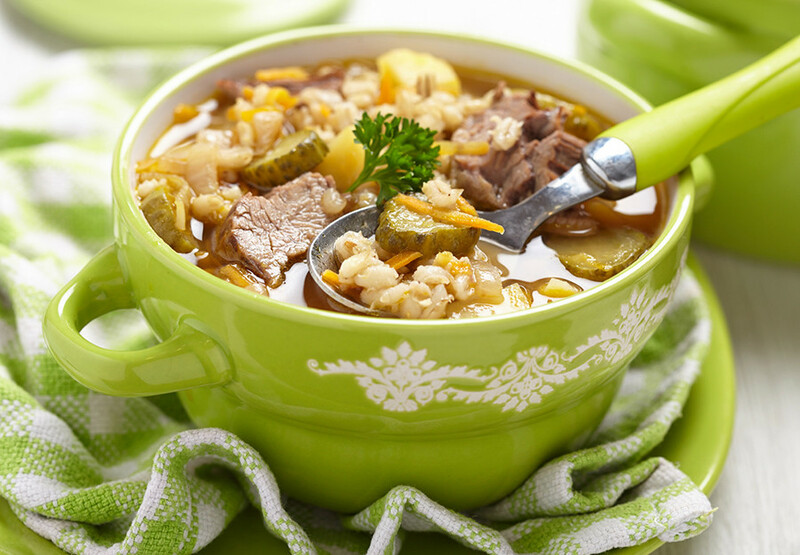 Rassolnik is made from pickled cucumbers, root vegetables, pearl barley, and beef or chicken Don’t forget to serve it with sour cream. Read the recipe here. 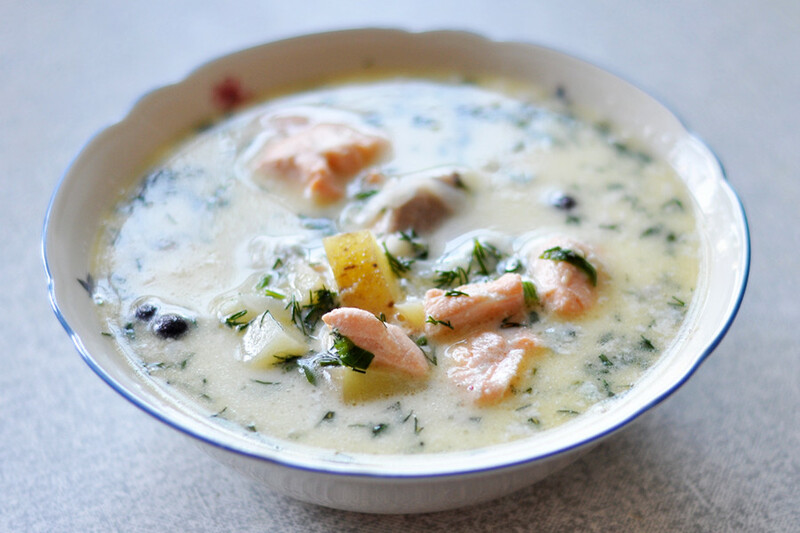 Traditional Russian fish soup is one of the oldest dishes in the country. Nevertheless, there’s no strict recipe - it depends on the taste you want to achieve. Salted and fresh salmon, trout, cod, sturgeon, and sturlet are all great - so too rockfish and burbot. It’s popular during the summer months when many Russians enjoy fishing in the countryside. If you’re confident in your cooking skills, try this recipe for triple ukha. 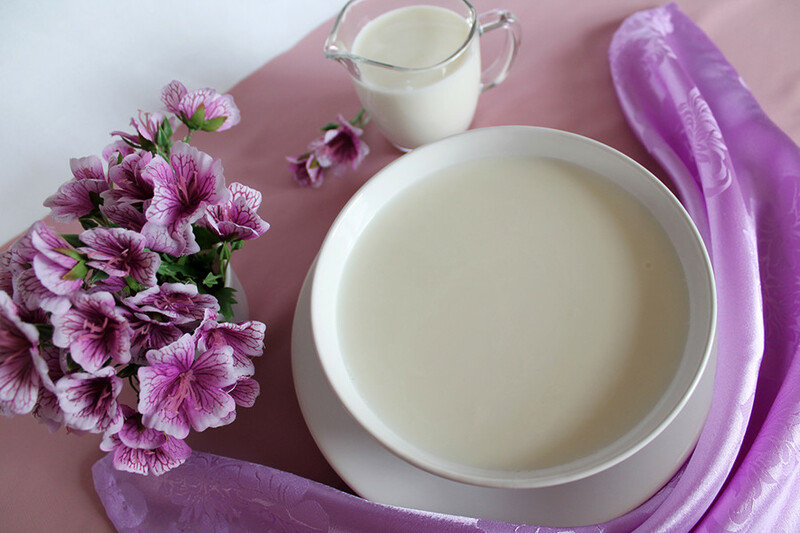 Unlike ukha, this traditional soup from Karelia is blessed with a heavenly creaminess. Karelian cuisine is similar to that of its neighbors - the Finns and Estonians - and serves fish in all forms. Soup made of white fish is called kalakeitto, which literally means “fish soup.” For feasts, they make lohikeitto, a soup with cream and salmon. There’s nothing better on a cold rainy day than a bowl of hearty lohikeitto - and it’s not even that difficult to make. Just follow this easy recipe. 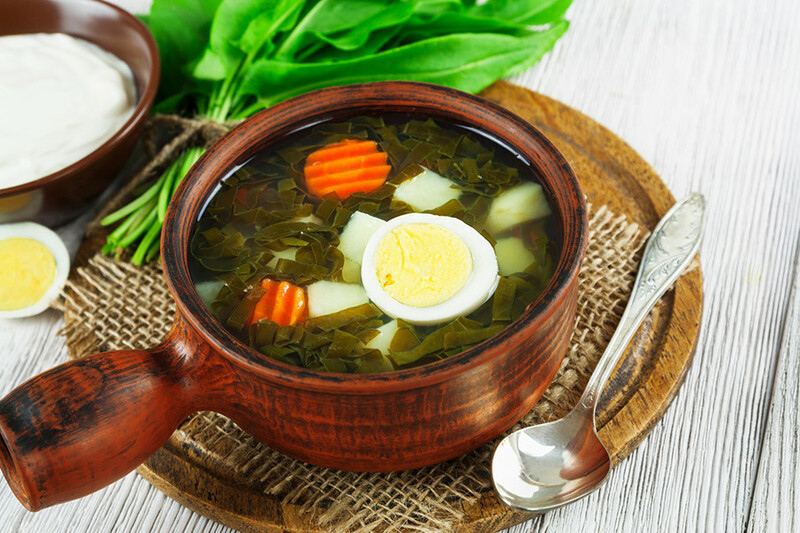 Light, fresh, and low in calories, sorrel soup is one of the most popular summer dishes in Russia. 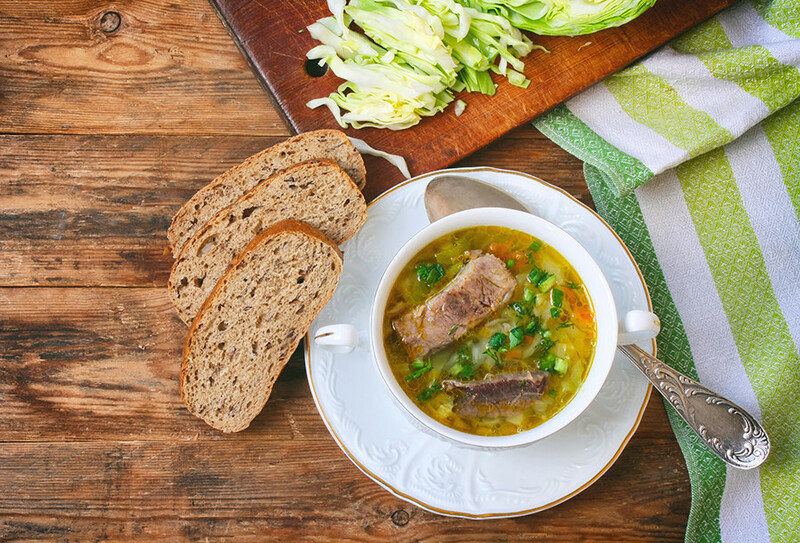 This soup is also sometimes referred to as green shchi after the traditional Russian cabbage soup. 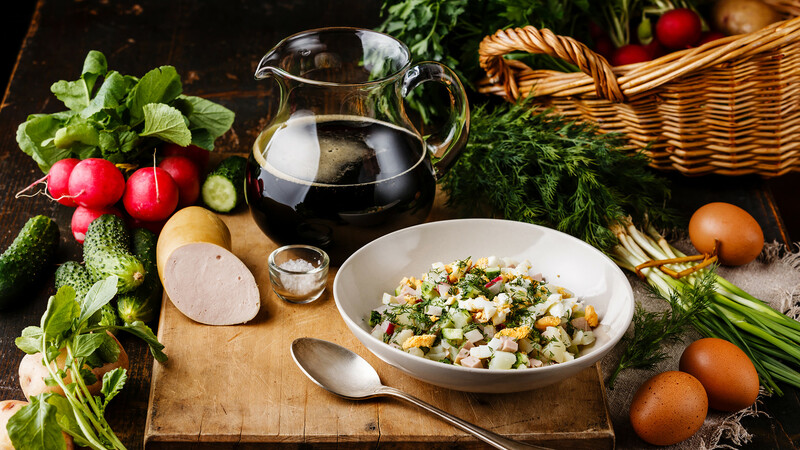 It follows the farm-to-table principle: All the necessary ingredients are usually grown at the dacha, or can be bought from farmers in the countryside. So if you want your next soup to be an absolute health bomb, here’s a recipe that will only take 15 to 20 to make. This soup rivals borsch for the title of Russia’s most beloved soup. In fact, there’s a Russian proverb that says: Shchi and kasha are our food. Because it is so popular around the country, there are more than 1,000 shchi recipes - with mushrooms, young cabbage, sorrel, smoked pork ribs, salmon, lenten, etc. Feel absolutely free to create your own version with anything available in your fridge, just don’t forget about the key ingredient – shredded cabbage. To start off with, you can try this recipe for a hearty, thick shchi. 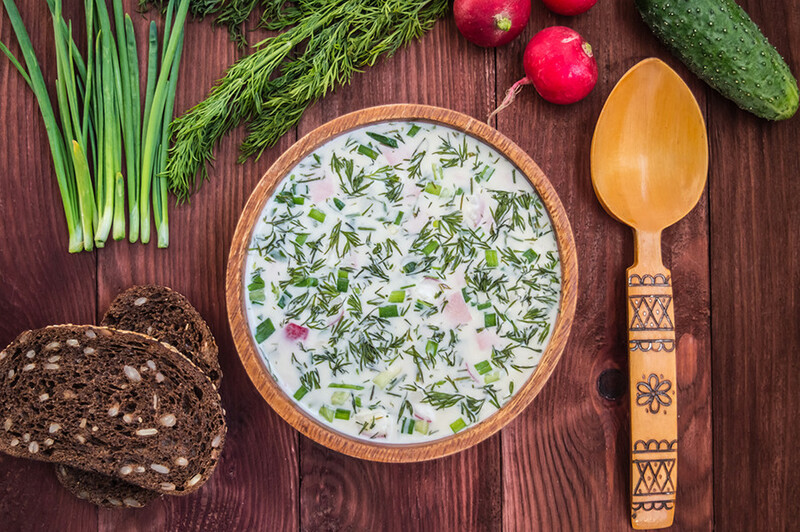 When the weather is warm, Russians usually eat okroshka, which is similar to Olivier salad: Finely sliced potatoes, cucumbers, carrots, and greens. You can also add radishes and basically any other vegetable, as well as sausage or boiled chicken. The only difference is that kvas or liquid kefir is poured over the salad. Seems like an odd combination, right? But Russians love it. This is probably the most famous soup in the world. Borsch is the main meal among many Slavic folks: Russians, Ukrainians, Belarusians. 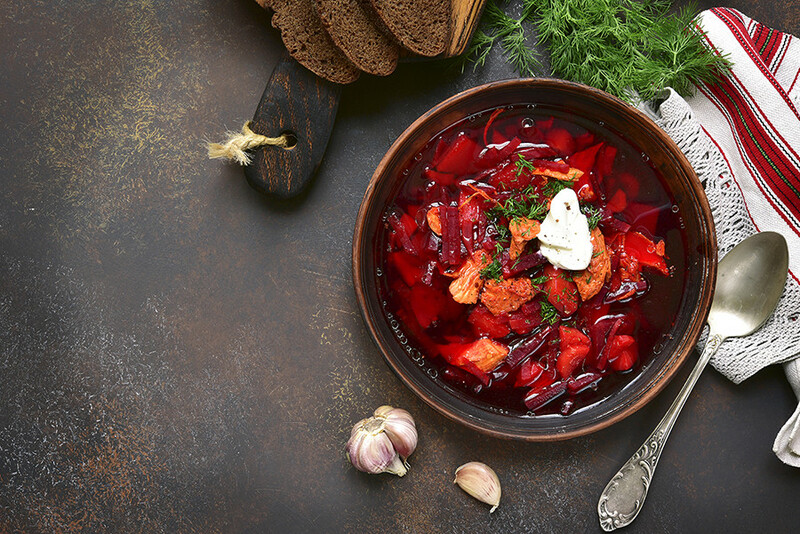 The main ingredient of borsch is beetroot, which gives the flavor, aroma and distinctive bright burgundy color. Different borsch recipes feature unusual ingredients such as beans, apples, squash, turnips, and sweet pepper. 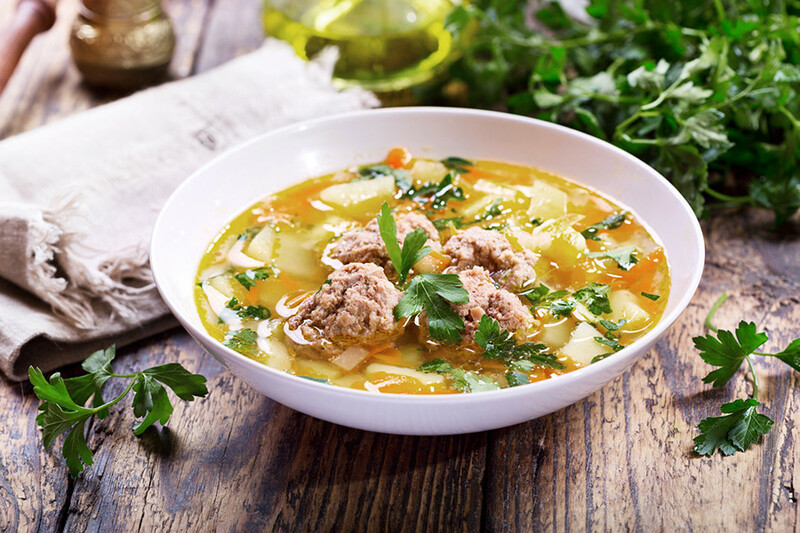 A lot depends on the region and there are differences in the type of broth used, and in the combination of different types of meat, as well as the choice of vegetables. Here is the recipe of classic borsch. Enjoy. 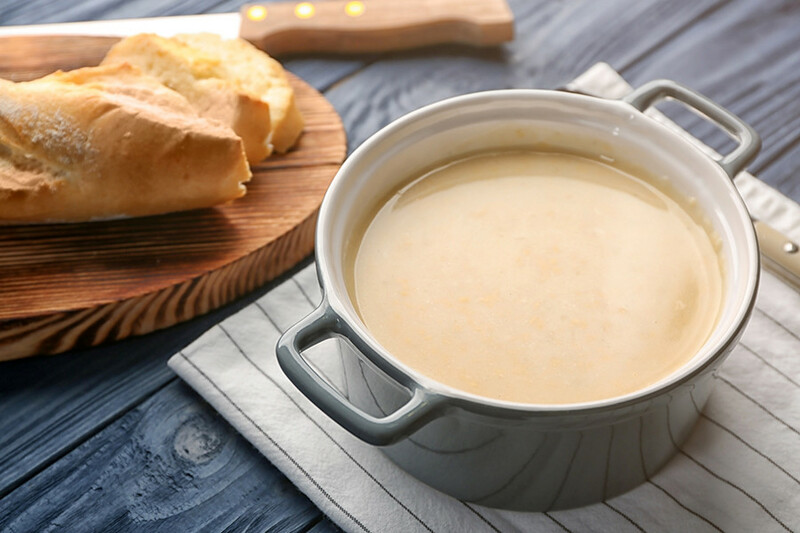 One of the most popular first courses of the everyday man during the Soviet Union, this soup was made with potatoes, vegetables, and a few half melted chunks of Druzba (Friendship) chess floating in the broth. It is still popular in Russia because it’s so easy to cook. If you only have 15 minutes, follow this recipe and add croutons at the end. Just imagine tender meatballs that melt in your mouth. Many countries use meatballs and Russia is no different. 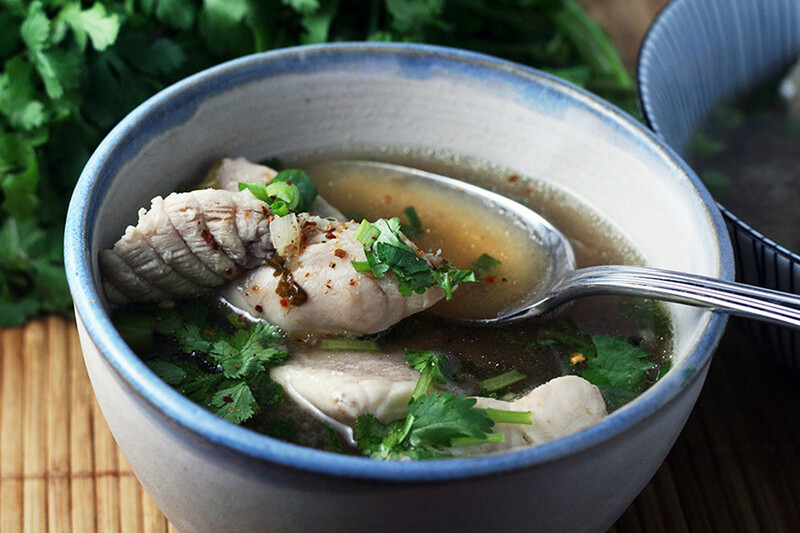 They are used as the base for this light soup, brothy, but nutritious soup. Try it with sour cream. Check the recipe here. Interesting fact: Milk soup with dumplings was Vladimir Lenin’s favorite comfort food. And this soup is still popular among children. It’s often served in kindergartens, is easy to prepare, and doesn’t require many ingredients.